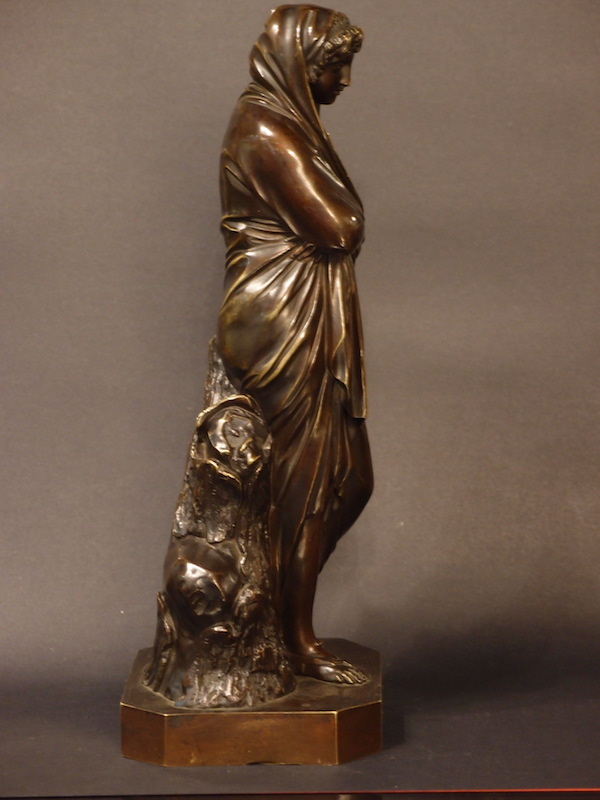 This fabulous bronze is very heavy, and is finished with a red brown varnish patina. It stands 35 cm tall and the square base is 13 cm by 13 cm. This classical bronze of a lady draped from head to toe symbolises the Roman Goddess Pudicitia, the goddess of modesty or sexual virtue. The original is a 4th century Roman marble statue that belongs to the Villa Doria Pamphili, in Rome, an early 17th century villa with extensive gardens famously decorated with classical statues (the Old Villa already existed before 1630). 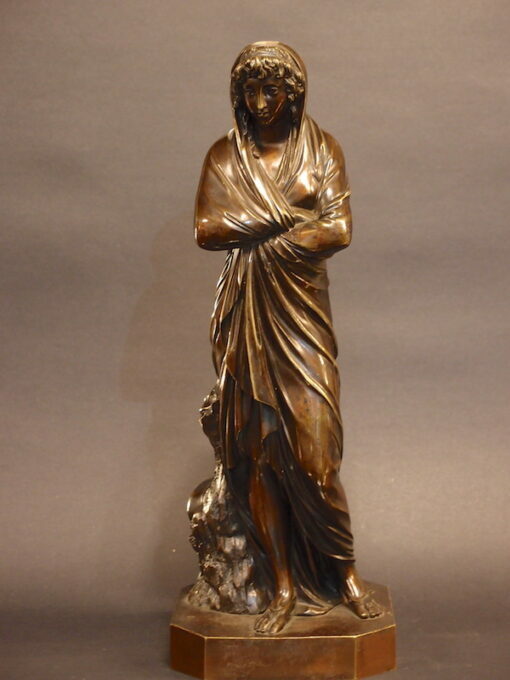 This bronze dates from the last quarter of the 18th century. The print is a C1670 engraving of the Roman marble statue at the Villa. You can tell the original was a marble because of the supporting tree stump, essential to support heavy, breakable marble, but useless in a bronze.